Our family has been sailing for most of our lives and my my husband continuously shares his story of having been tied to the mast at the tender age of six. We were born to do this. We’ve taken our four daughters on extended bareboat cruises, living aboard Love Light our 28′ Pearson Triton (1960 hull #133). 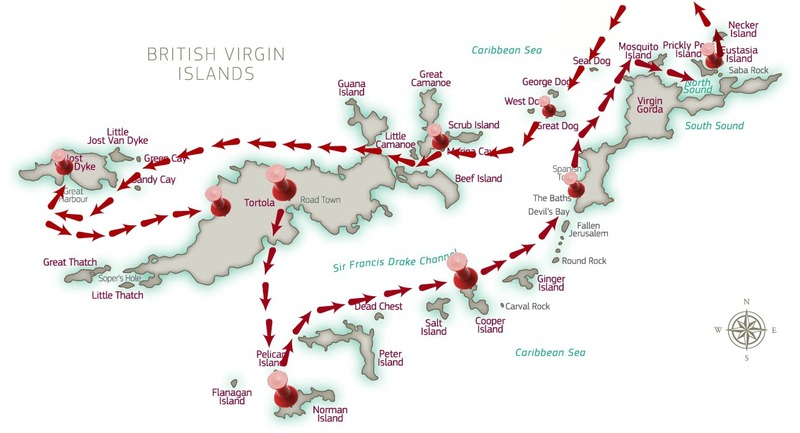 We’ve sailed from Lattington, NY to Martha’s Vineyard and almost every port in-between. We’ve shredded sails in high winds and broken booms while jibbing into Mattituck inlet. Now we’ve decided to trade up and onward for a bigger boat as we plan our sailing adventures. 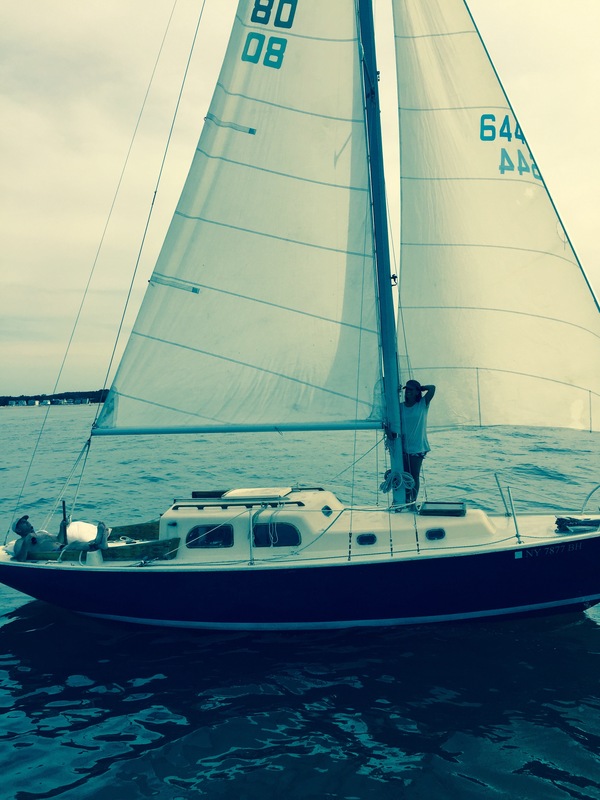 We are going to begin our search for the ideal boat at the Annapolis Boat Show October 8-12 2015 and signing up for a refresher on coastal navigation 2015 Fall Cruisers University. The biggest challenge I have with this whole crazy dream is that I’m just not that confident of a sailor. To be absolutely honest, I’m terrified. So I will build my confidence by building my skills. It doesn’t guarantee that we will be free from disaster, but who ever said there are any guarantees about anything? Inspiration – We’re not growing any younger and we are not waiting any longer. The only way to live is by accepting each minute as an unrepeatable miracle. First remember ‘Attitude makes the difference between an ordeal and adventure’. A daily reading from Seneca has helped build a more stoic attitude. Emergency skills – practice man overboard skills, CPR and basic first aid. We’ve decided I will be the nativgator, so researching and mastering all new technology to help guide us safely through our sailing adventures is essential. Trust my intuition – a daily practice of meditation helps with this. I’ve been practicing five minutes of listening to the answers to two questions that I ask myself – What must I know? and What must I do? Meet and connect with other sailors and cruisers while listening and learning from their real life experiences. Manage power consumption while having all the ‘go-slow’ stuff like watermaker, solar panels and a wind generator. Keep all boat systems as basic as possible because our resources are finite. Learn how to fix almost all the things that can break. Note to self: buy some Sugru. Have a good nest egg of capital to draw from for when the big things break down or wear out – which they will. Its refreshing to see someone admit their fear of sailing. Its something I have wanted to do for a long time. I know its not the same thing but I have a hobie 16 and it destroyed my confidence with capsize after capsize, this year I finally went with my gut instinct and have bought a smaller boat to practice and enjoy the water with. All going well it will let me enjoy myself so one day I can maybe do what you are doing.